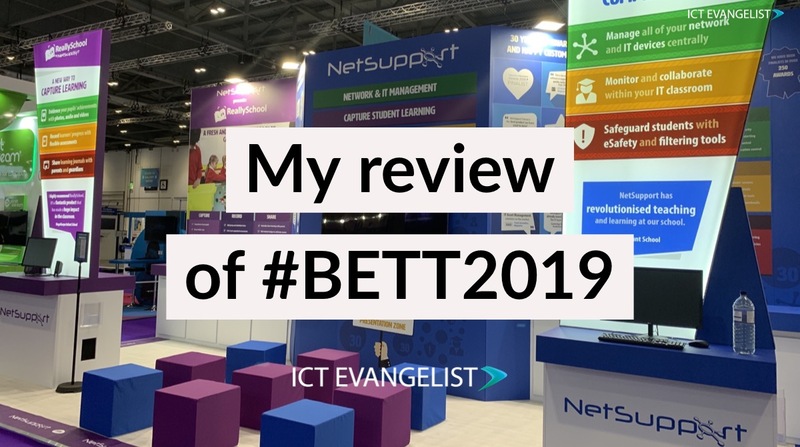 I will say from the outset that I thoroughly enjoyed my 4 days at #BETT2019 this year. 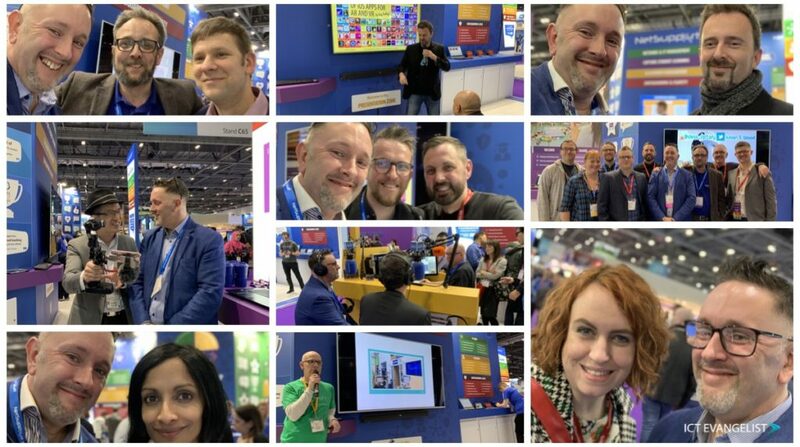 The key thing about the trade show this year that stood out in particular for me was that it was all about the teachers and the people who made the (often) huge effort to attend, meet up, network and share. This was embodied perfectly with the work that I did during the event with NetSupport Group. As part of their 30th-anniversary celebrations, MD and all-around educational landscape legend, Al Kingsley wanted to ‘give something back to the community’. With that in mind, they supplied a huge presentation area on their stand. Here, I was fortunate enough to compere and present on alongside many, many educators. Some of my favourite presentations included those from the inimitable Martin Bailey (@Animate2Educate) and “The lovely Miss Lotriet” (as described by her pupils), Claire Lotriet (@OhLottie) who brought children from their schools to the event. The children presented beautifully and it was so lovely to see how impactful the work of their teachers has had on their confidence, oracy and knowledge of digital citizenship and technology for learning. Other highlights included speaking on the Adobe stand and launching the new AR/VR Periodic table with Steve Bambury who was actually there IRL!! The reception to the new table has been superb. Thank you to everyone who has commented on it and congratulations to those developers whose apps we chose to include. The absolute best bit of the BETT though has to have been the gathering of minds and opportunities for reinforcing or creating new friendships with those people who travelled far and wide for the event. The opportunity to hear from other teachers and to share too is always a privilege. 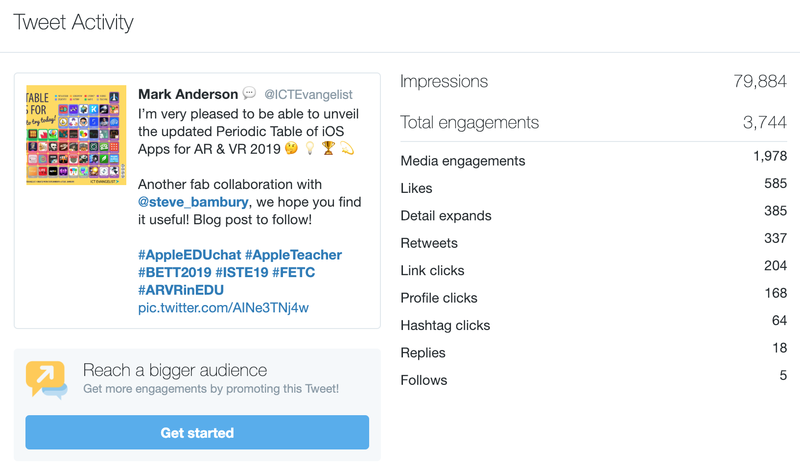 Thank you to NetSupport and Adobe who gave me a platform to share with teachers during the week as well with particular thanks to NetSupport for providing all of the stand space for the teachers to come along, learn and share. I met with so many friends and colleagues over the course of the 4 days it would take too long to mention everyone so I thought I’d share a little video I made featuring everyone I got to meet and hang out with over the course of the event. Thank you again.